Formulated to provide the ultimate in performance, productivity, versatility, adhesion, durability, and moisture/corrosion resistance, as well as superior sanding and sealing characteristics. Can be used as a primer surfacer or sealer, based on the mixing ratios�helping to reduce inventory and costs. Low HAPS and no iso�for safer environments. 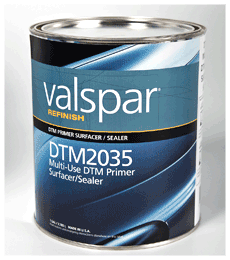 Short dry times�for greater productivity during the repair process.